Head to Bristol Pit on Saturday, April 14 for the season-ending Yellowknife Fun-Test staged by Ragged Riders. Registration costs $20 – click here for the online registration form. – Park Party with rails and jumps! Lunch (burgers, hot dogs and refreshments) is provided. Age categories include Minis (5-7), GROM (8-12), Riders (13-16) and Open (17 and over). This event doubles as Yellowknife’s second GROM Series event of the 2017-18 season. There are great prizes to be won, including prizes for best costume, best style, best bail, and everything in between! Events will finish by 5pm at the latest. 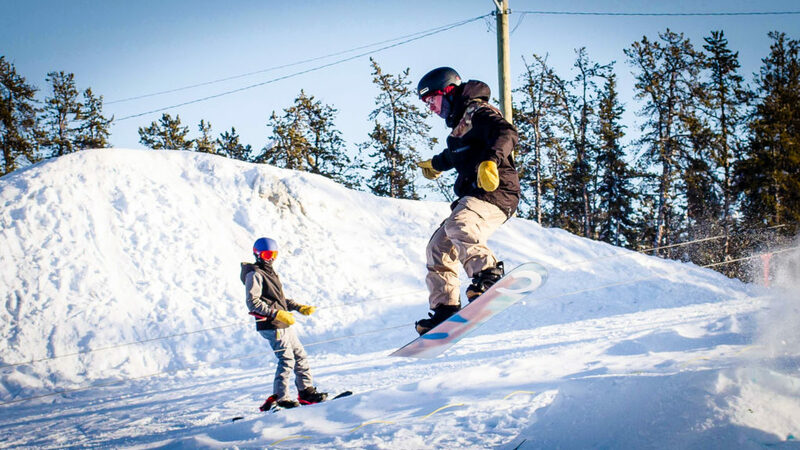 Come dress up and enjoy the sun at Yellowknife’s fastest growing winter sport!